In the entire world, mountain Gorillas can only be seen in Uganda, Rwanda as well as the Democratic Republic of Congo – DRC. During Gorillas Tracking Safaris within Uganda these gorillas can best be seen in Bwindi National Park (with 12 habituated gorilla families) as well as in Mgahinga National Park (one habituated gorilla family). 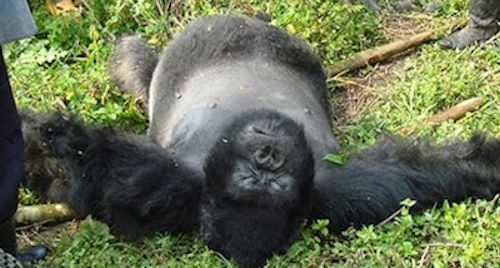 Within Rwanda, these can best be seen in Volcanoes National park (10 habituated gorilla families), and then in the D.R. Congo there are over 9 gorilla families in Virunga National Park. Because of political instabilities, the mountain gorillas living in Virunga national park within the D.R. Congo are severely affected by the rampant poaching. 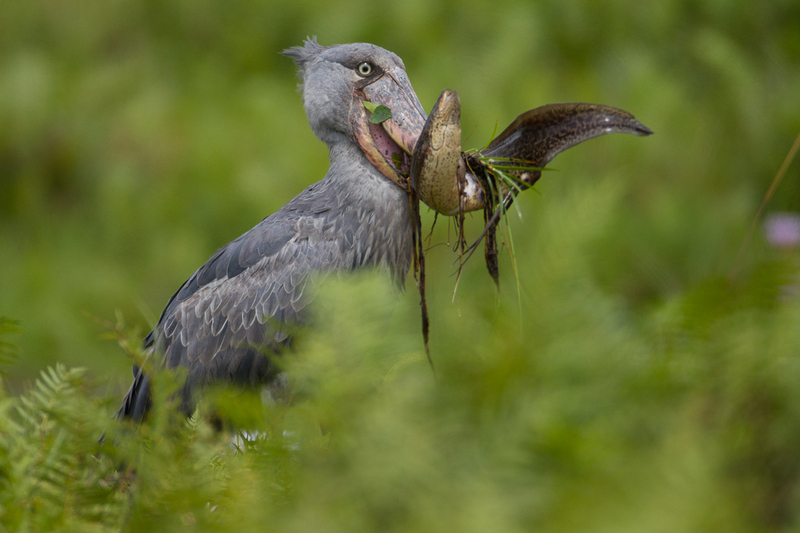 The continuous fighting led to food deficiency within the affected areas and this resulted into people poaching wildlife including mountain gorillas, birds plus several other animals. The continuous wars within the D.R. Congo are aimed at overthrowing the present government of President Joseph Kabila Kabange- the current president. Over the past several years, this country has been experiencing malicious power struggles and as a result it drowned the activities within the tourism industry. Although the country is gifted with several tourist attractions, unfortunately it hasn’t benefited from its tourism sector ever since poaching of wildlife in this country became severe. Also these wars threaten several tourists as well as insurance companies from offering cover to visitors going to the Democratic Republic of Congo. Many a times the locals have been found eating gorilla meat as well as other primates like monkeys which otherwise would have earned the D. R. Congo so much foreign exchange through tourism. Within Central African Republic, low-land gorillas are as well being severely poached by rebels living within the Congo forests. Another thing to note is that gorillas aren’t just killed for food by also out of cruelty with an aim crumpling the economy of that respective country. similar to the D.R. Congo, the Central African Republic has as well become a hub of rebels among which is Joseph Kony – the number one rebel to the government of Uganda. The original keepers of these forests – the Batwa pygmies who are hunters set traps for eatable animals however on a sad note, at times the mountain gorillas fall into these traps as well. The Batwa people are among the independent and very conservative tribes within Uganda. They dominate the southwestern forests of Bwindi and Mgahinga which are the only two habitats of mountain gorillas in Uganda. When we talk about poaching, we not only focus on killing the mountain gorillas buts this extends to unlawful killing of other wild animals such as elephants, Forest pigs, Buffaloes, Squirrels and Antelopes, plus several others. Majority of the animals are killed for their meat while others are killed to earn some money through selling some of their body parts. Across the globe, poaching is highly discouraged and different governments have enacted corporal punishments for any one that commits such an offence. 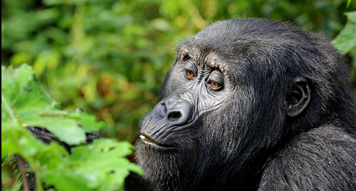 Through tourism, Gorillas are among the leading foreign exchange earner to the economies of the countries in which they are found and this is because they are among the top most sought after tourist attraction in the whole word. Because their small numbers, they have been tagged among the most endangered species in the world and these can only be seen in just three countries in the entire world during the Gorilla tracking Safaris in Uganda, Democratic Republic of Congo and Rwanda. Because of their significance, Uganda and Rwanda have made all possible efforts to strengthen wildlife protection and security for this rare and highly endangered species. They have also invested so much in awareness programs as well as conservation drives among the local people living around these natural gorilla habitats.